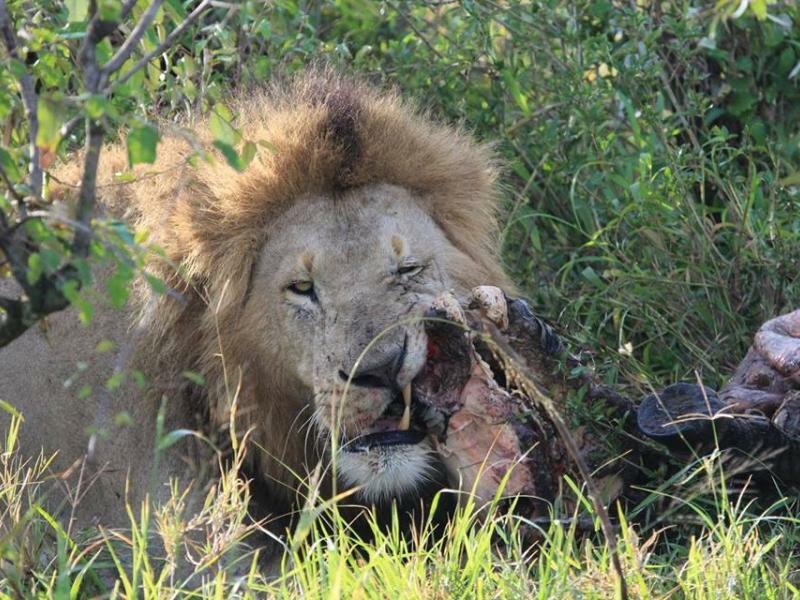 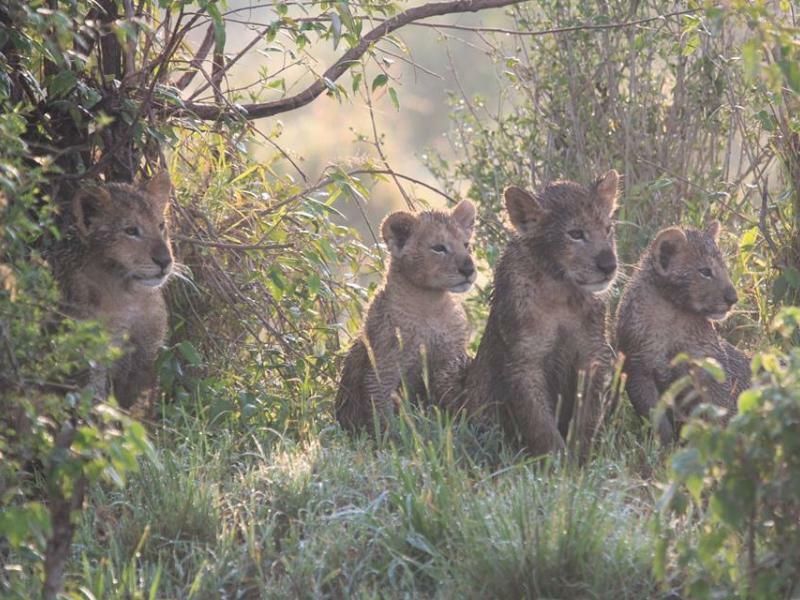 Another close call with buffalo for Kabibi, Rembo, Dada, Kito and their seven remaining cubs! 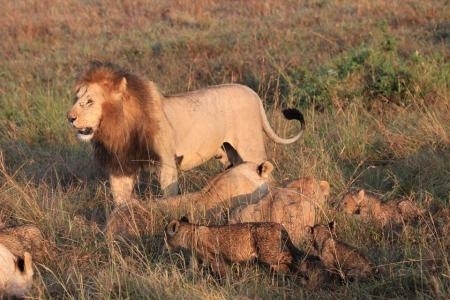 Together with Koshoke (male), they were all feeding on a zebra kill when they suddenly found themselves surrounded by a herd of angry buffalo. 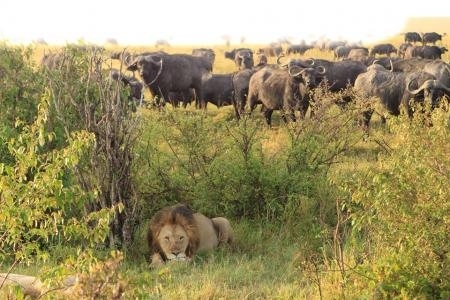 As usual, the buffalo chased them away, including the cubs who were hesitant at first abandon their meal, but later returned to feed again leaving the cubs to watch from a distance. 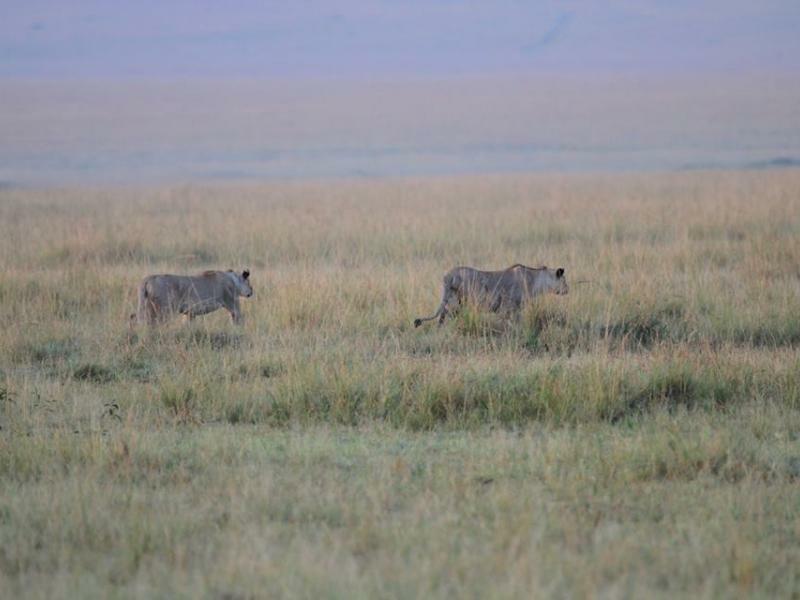 Meanwhile, Pamoja and Nusu Mkia (Yaya's daughters) have been hunting a lot of warthogs lately. 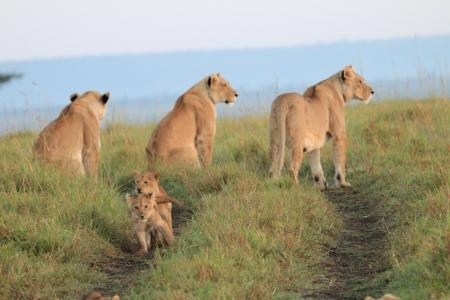 On this particular occasion, Yaya was waiting and watching not too far from them, possibly hoping that they allow her to join the meal if they succeeded. 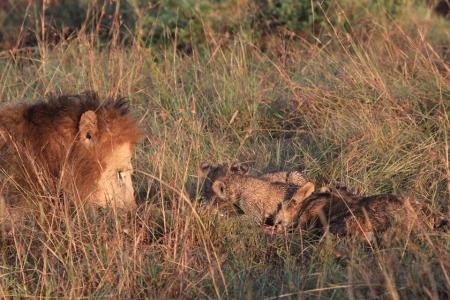 Unfortunately, they missed the warthogs. 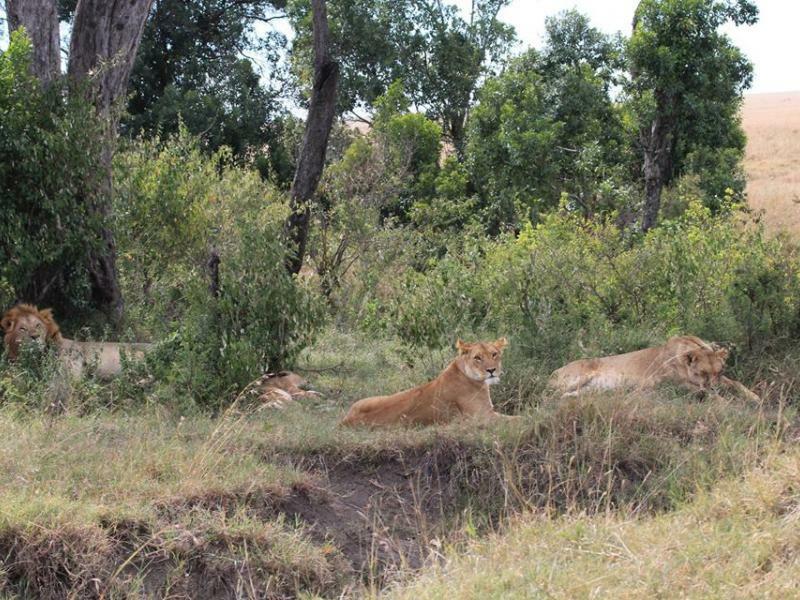 Final photos show Yaya resting in the thicket with Baba Yao. 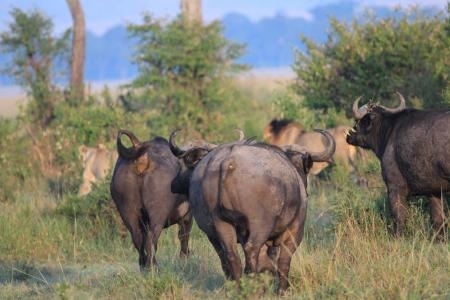 They were actually not too far from the others with the zebra kill - the buffalo tried to chase them away too but they seemed less concerned than the others with the young cubs. 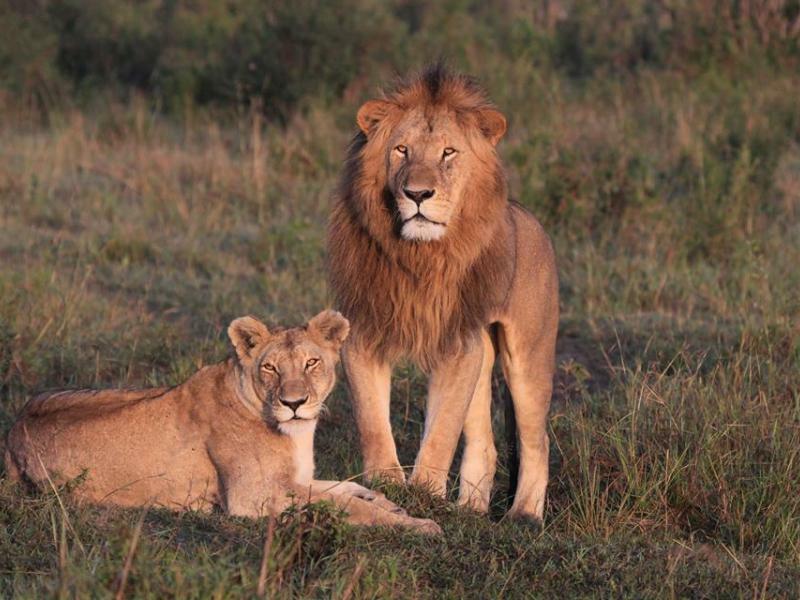 Safari guide Moses Manduku will be keeping an eye on this pair to see if any mating takes place. 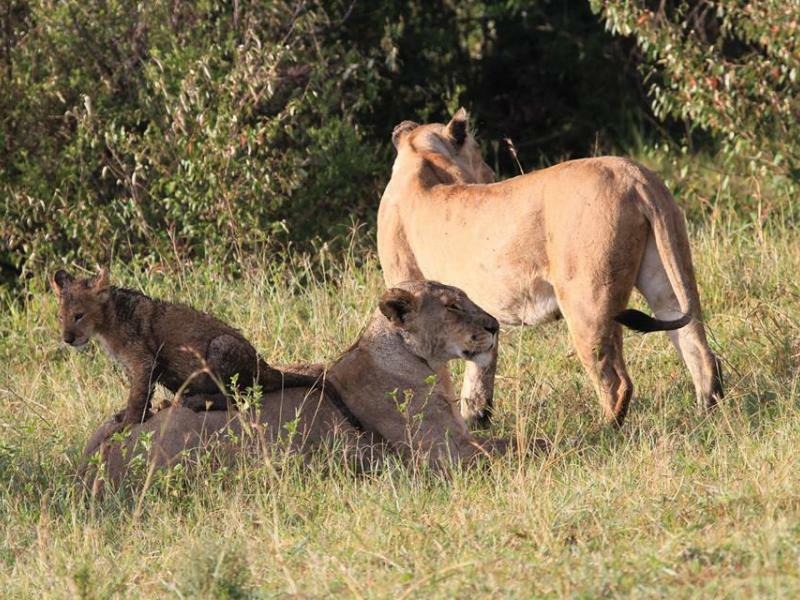 Yaya's two daughters have been officially named 'Pamoja' (meaning 'together') and 'Nusu Mkia' which means 'half a tail'. 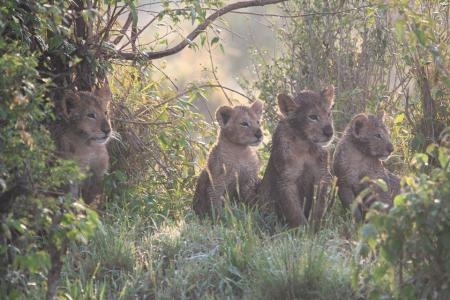 Name suggestions had been circulating for the last few months but were confirmed recently. 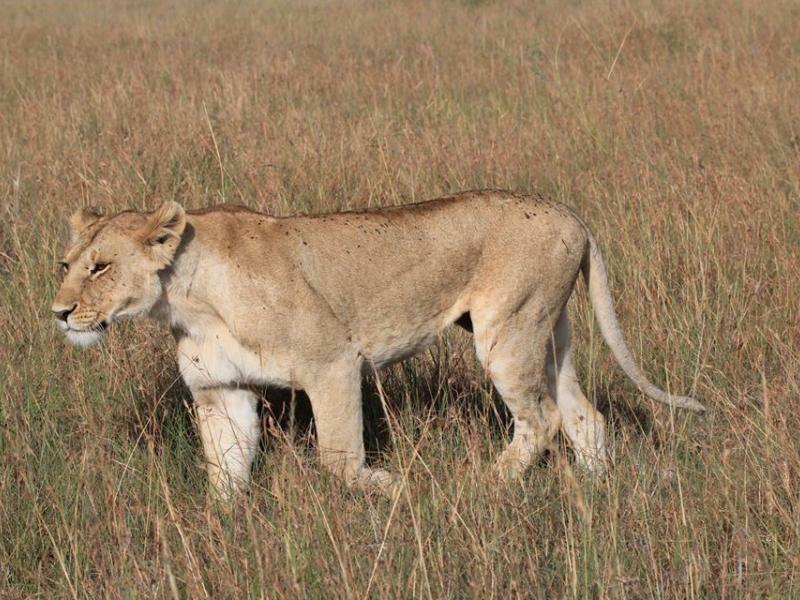 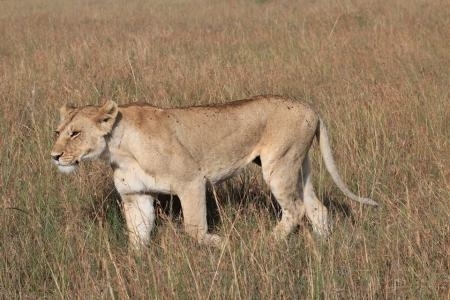 Nusu Mkia had an infection in her tail and the end dropping off - making her a very easily identifiable cat in the Mara. 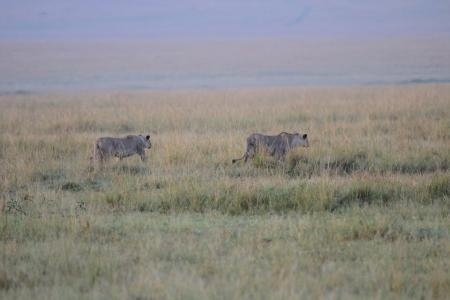 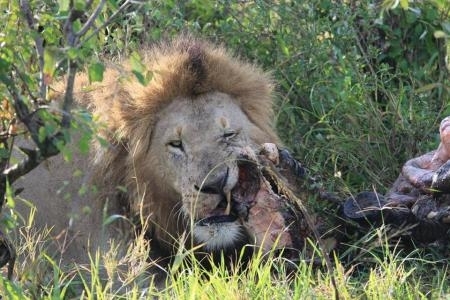 They were spotted just a few days ago warming up for a hunt on some warthog who were a great distance away. 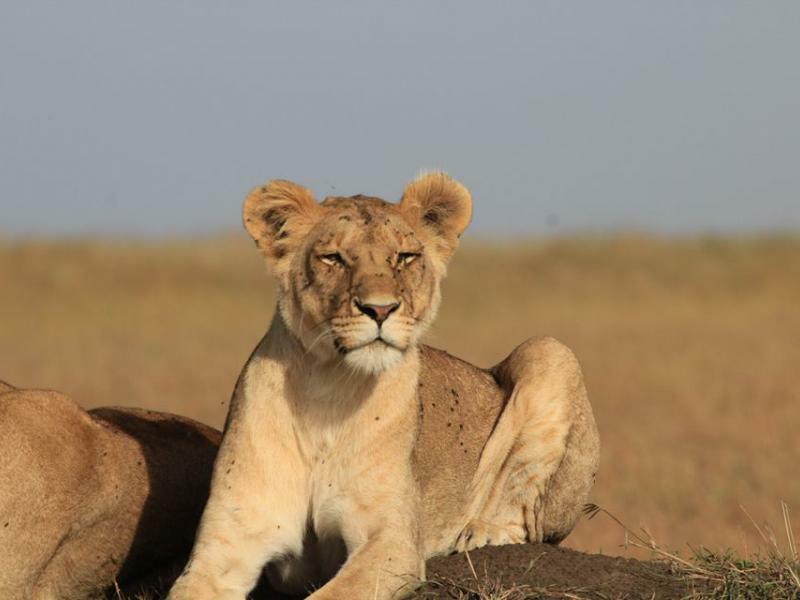 These two have proven to be very skilled hunters, often working together on stealthy ambushes. 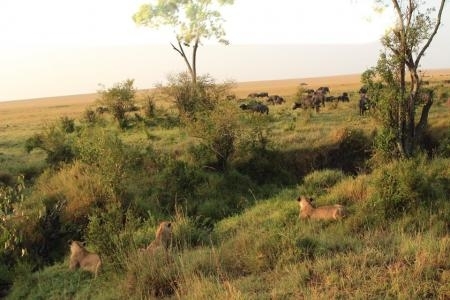 On this particular occasion, they managed to get all the way up to the warthog without being noticed until Pamoja got exposed at the last minute due to the short grass. 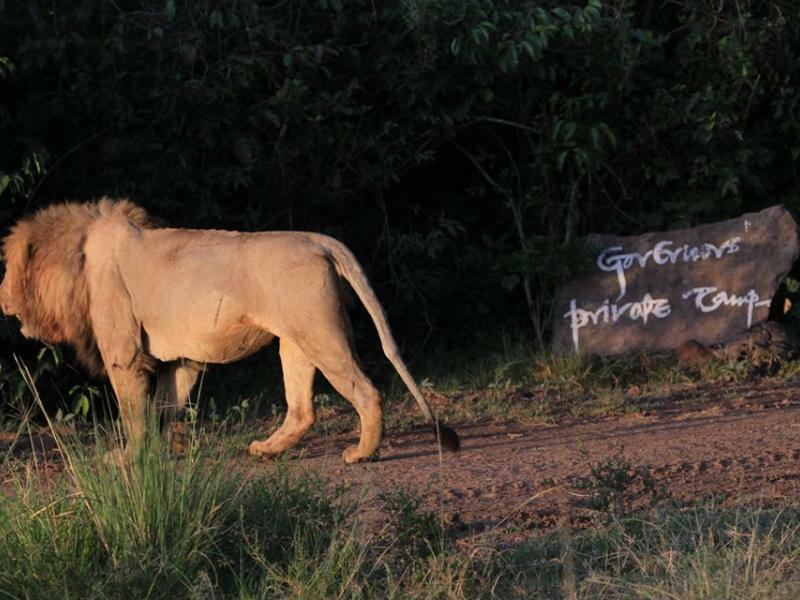 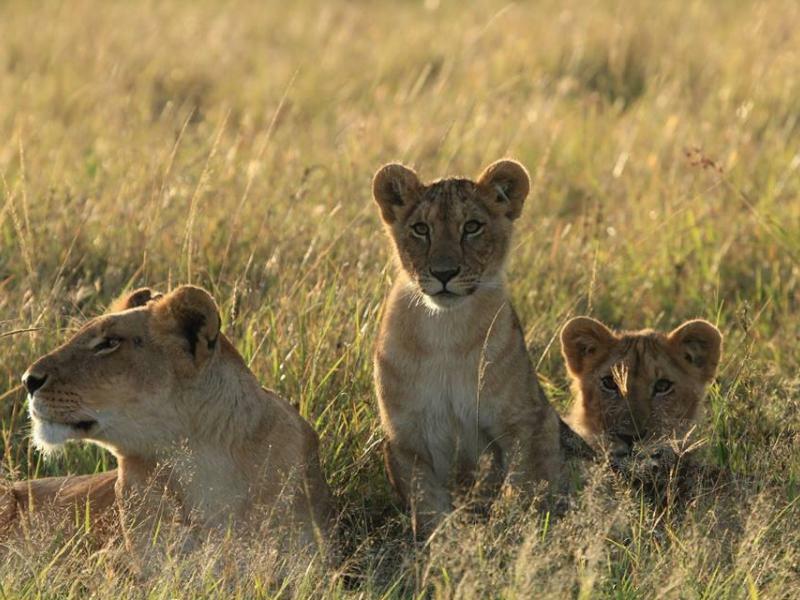 Get closer than you could ever imagine to Africa’s most incredible wildlife. 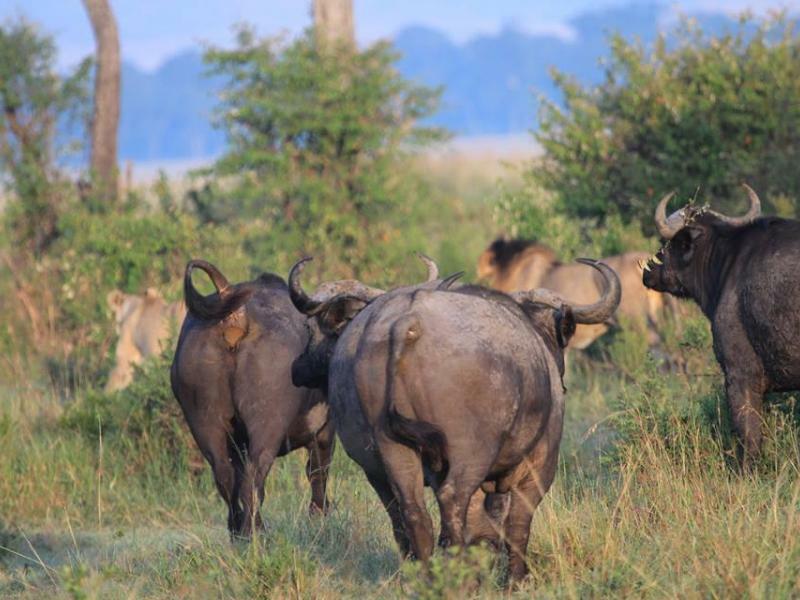 Feel the breath of the lion and the thundering of the gnu’s hoofs, all from the safety of our guided game drive or your own vehicle. 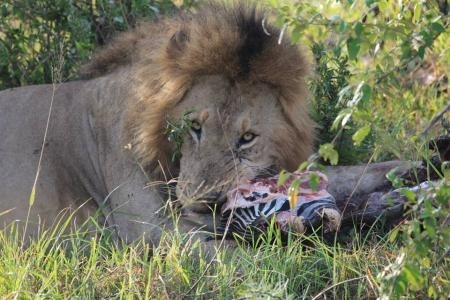 Chongo was spotted behaving like a true gentleman and following the cubs to have a bite while Kabibi, Rembo, Dada and Kito are all next in line for the zebra kill. 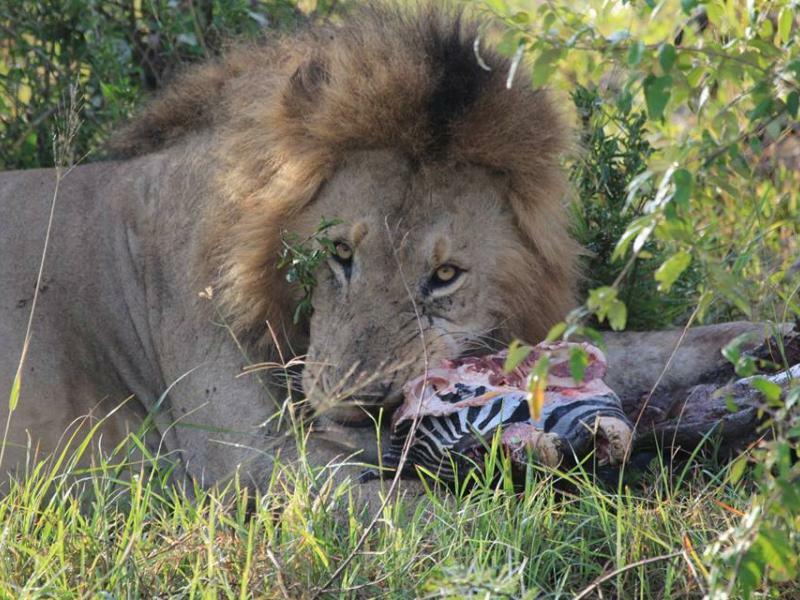 It seems the kill was actually made by Spot and Little Red - but they got chased off. 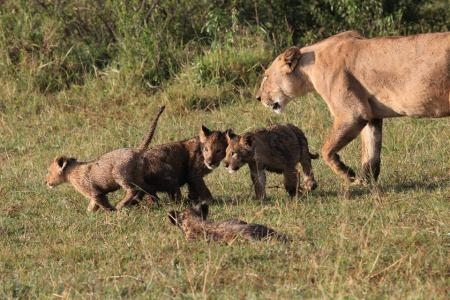 Kito and Little Red both have some wounds from fighting over the meal, but at least little ones have managed to get their fill. 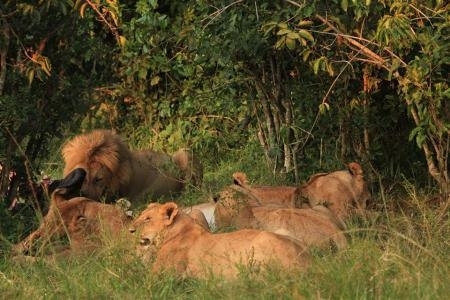 Chong was then seen again a little while later resting with four of the Marsh males - Koshoke, Baba Yao and Kiok at the Bila Shaka area. 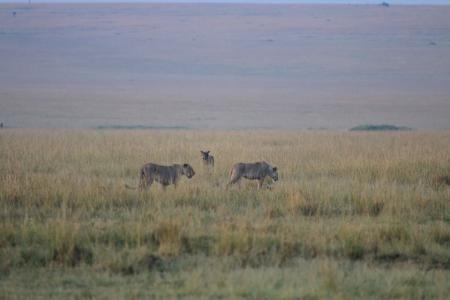 The Marsh boys are back in town after a long time with the females up at Topi Plains. 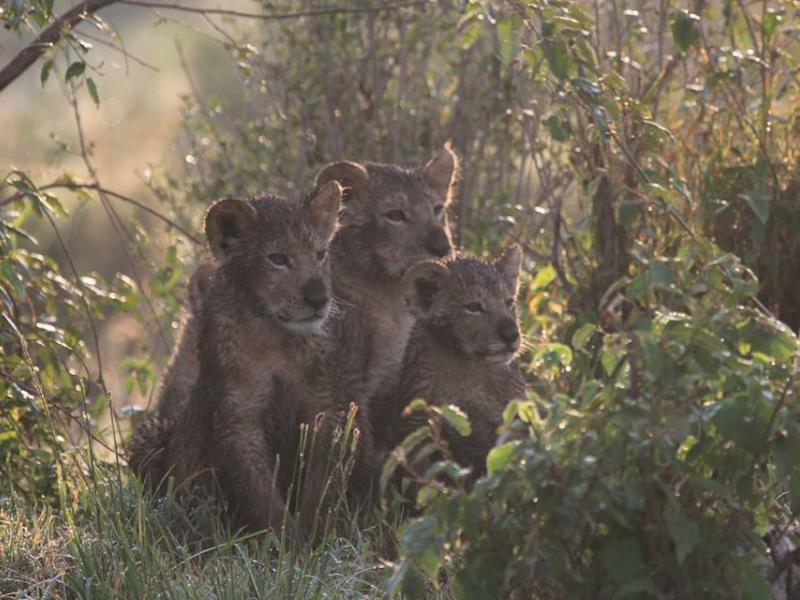 Want to see marsh lions up close? 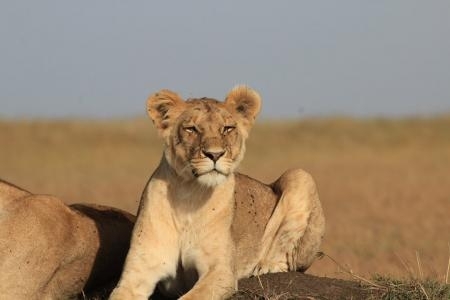 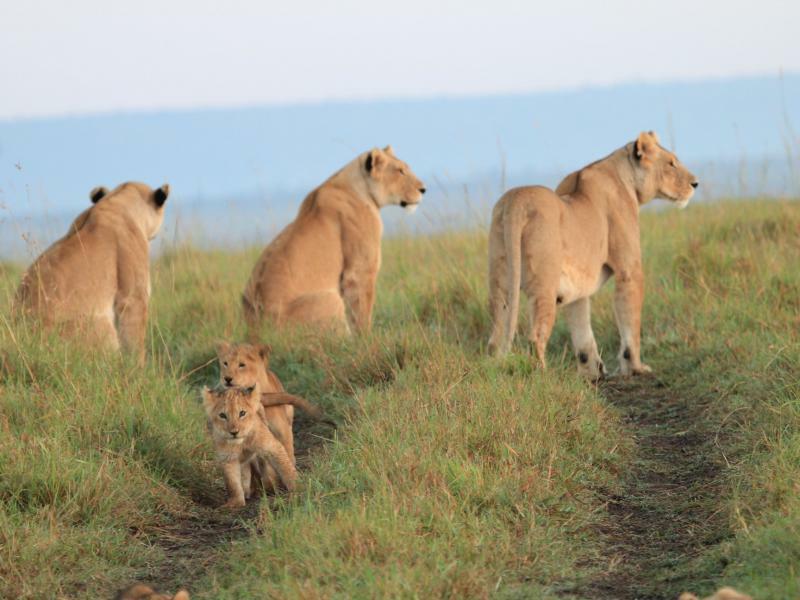 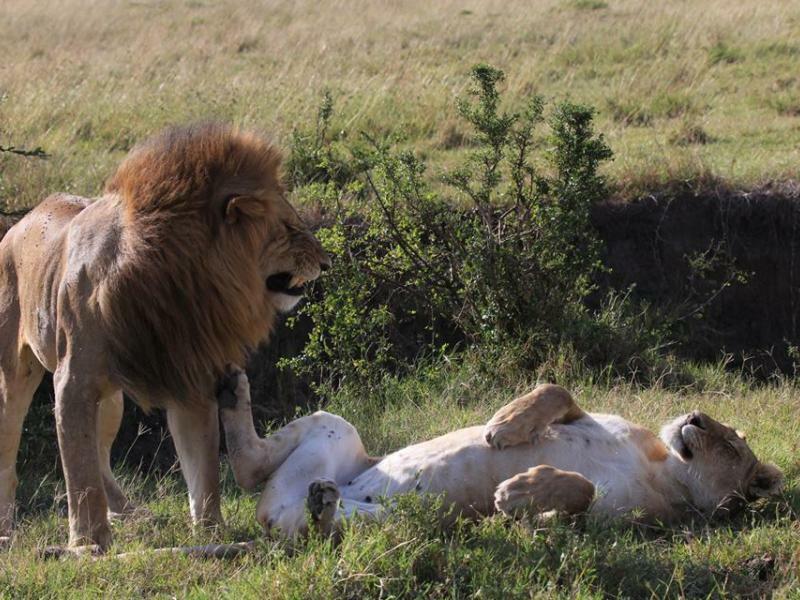 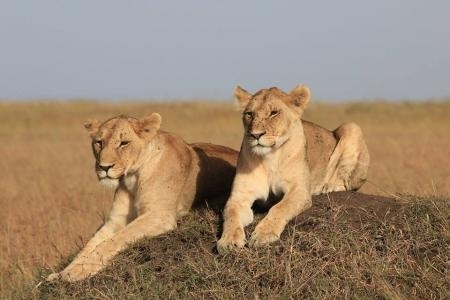 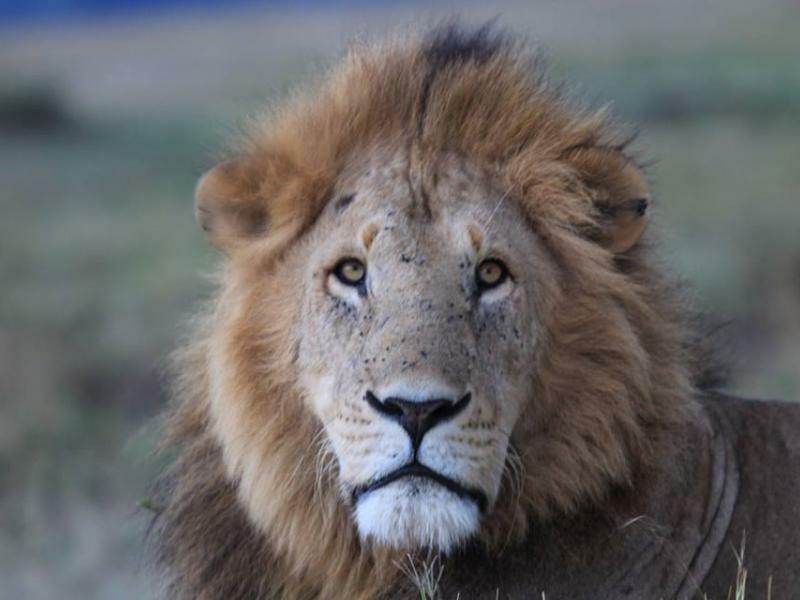 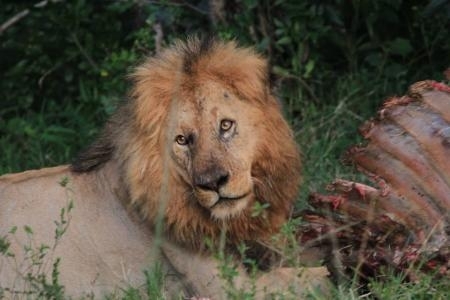 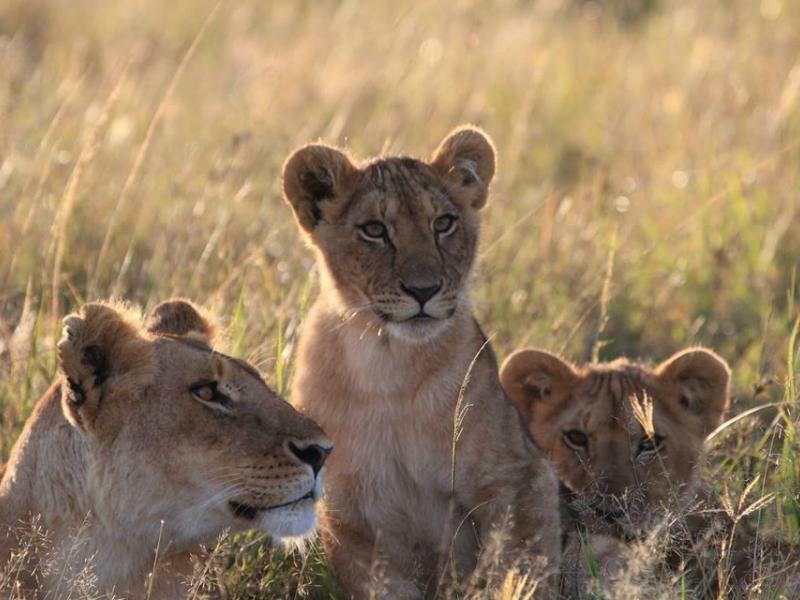 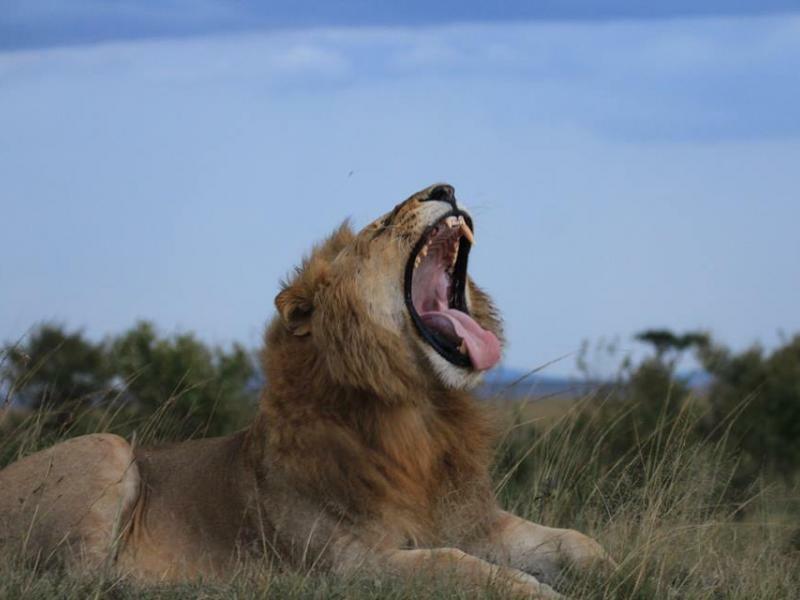 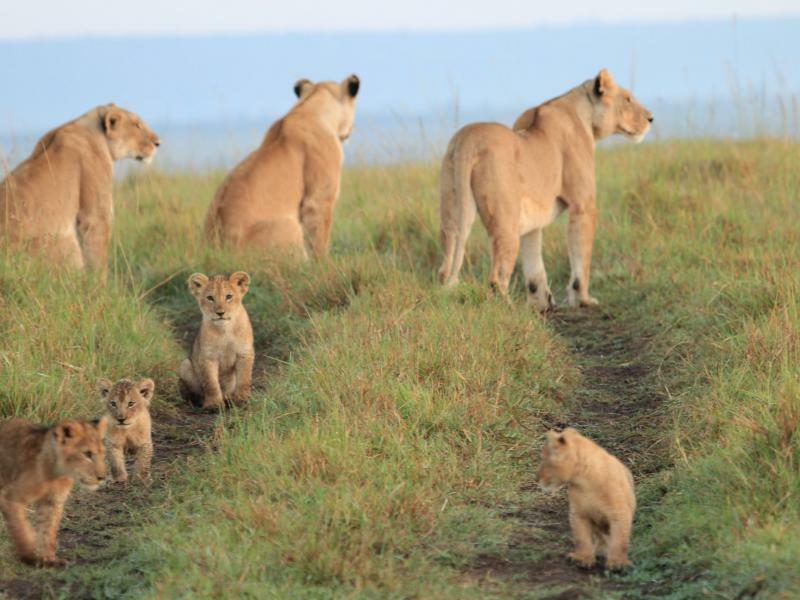 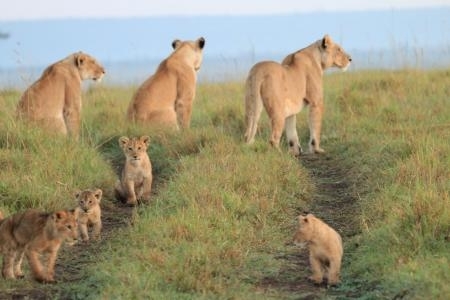 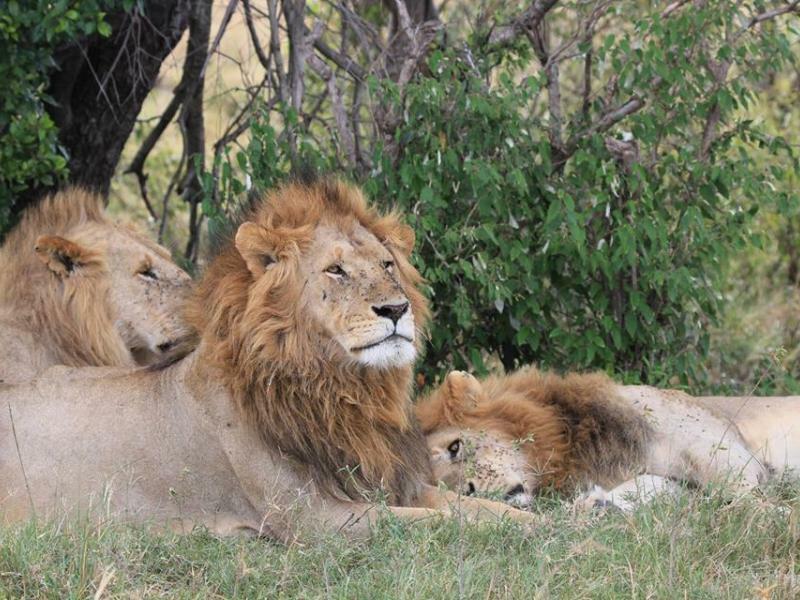 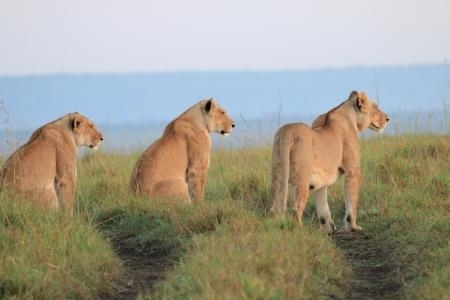 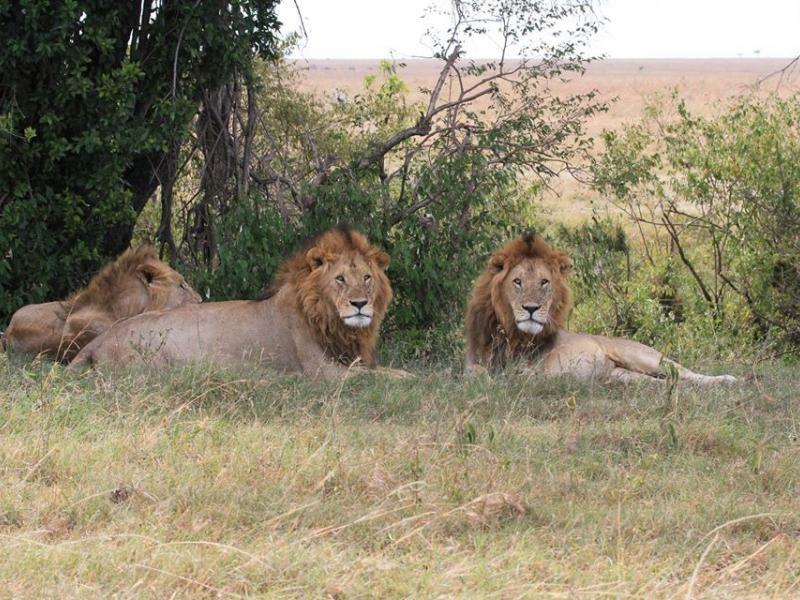 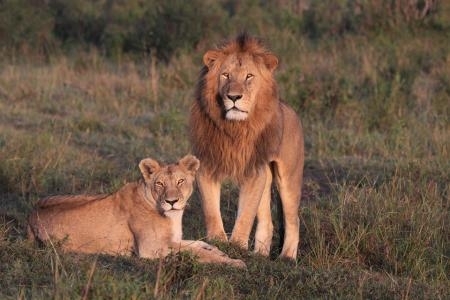 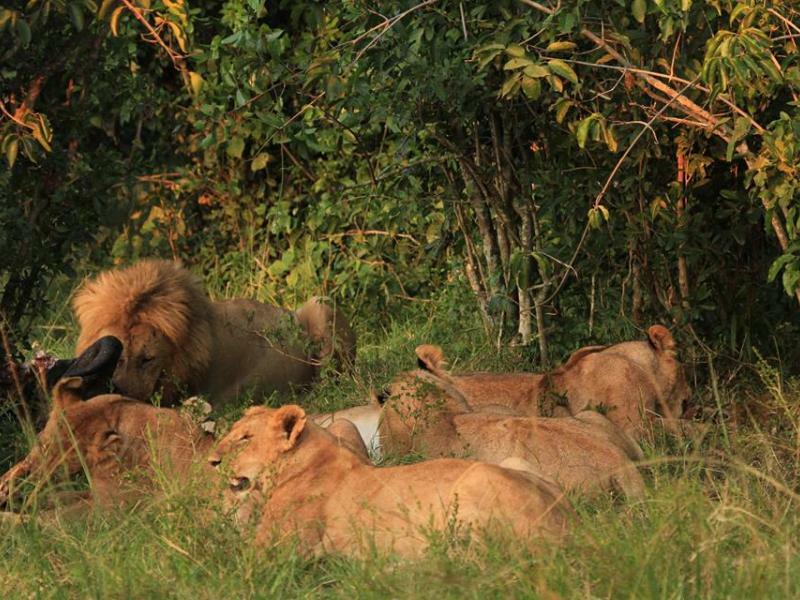 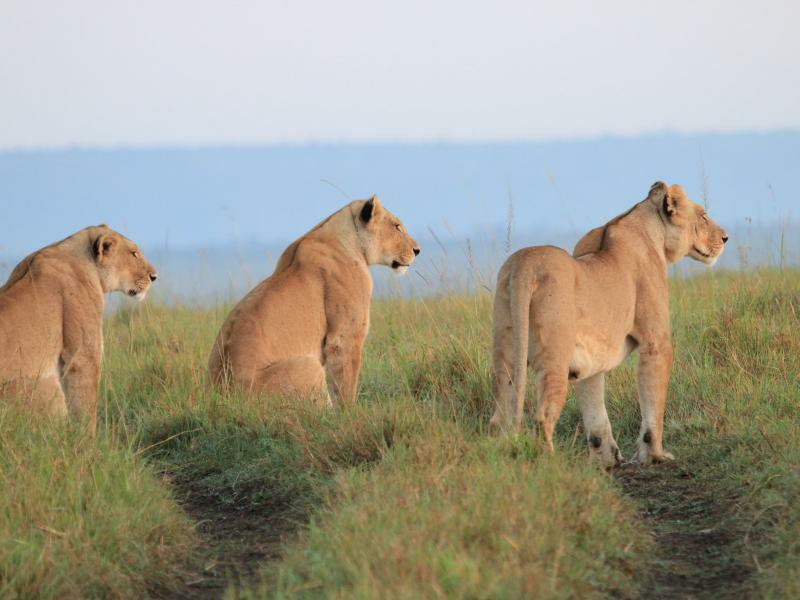 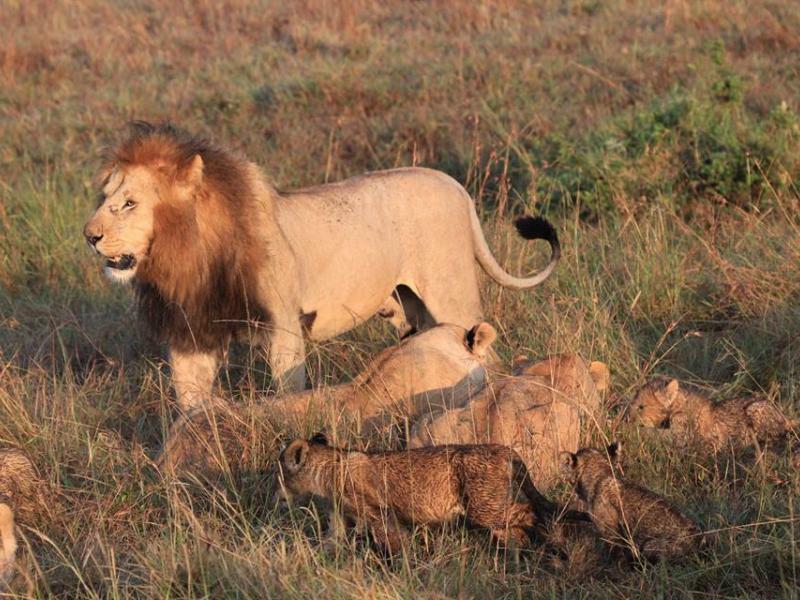 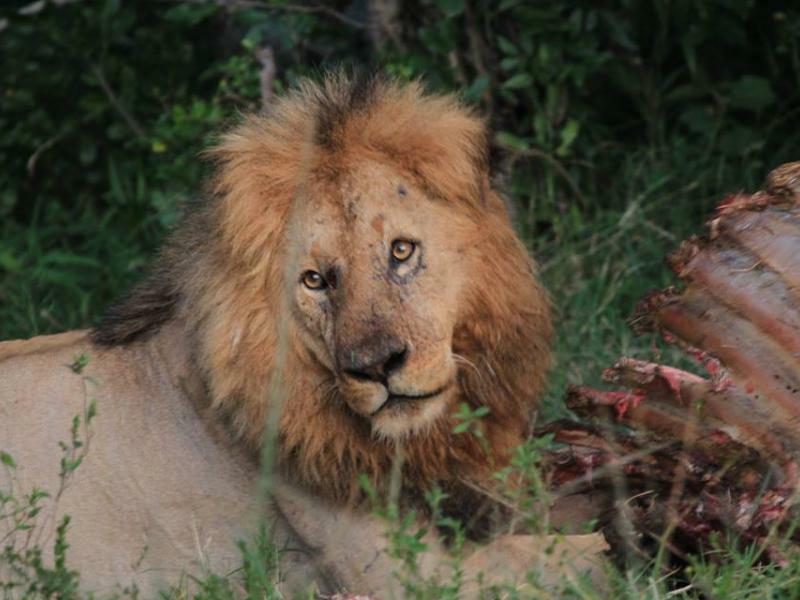 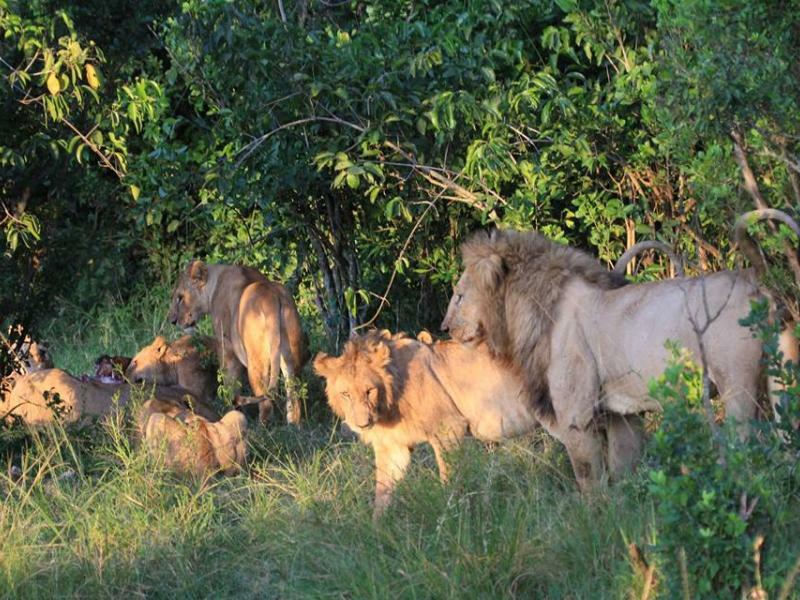 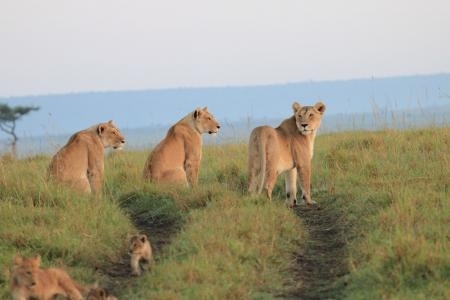 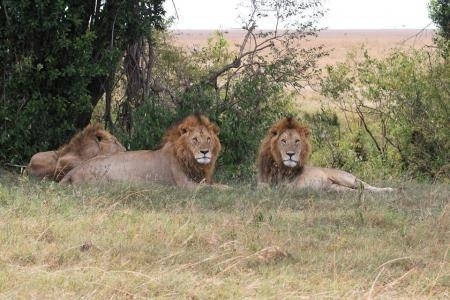 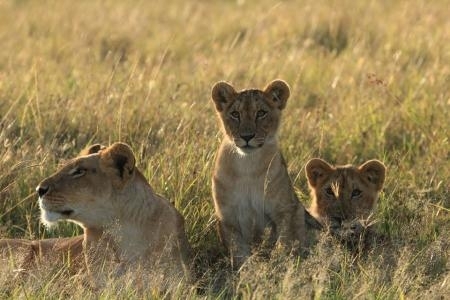 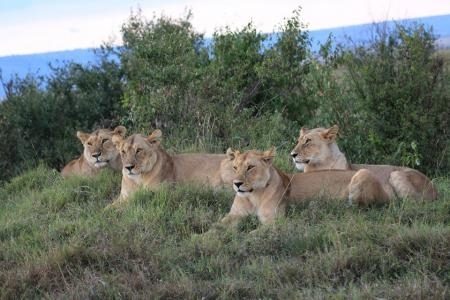 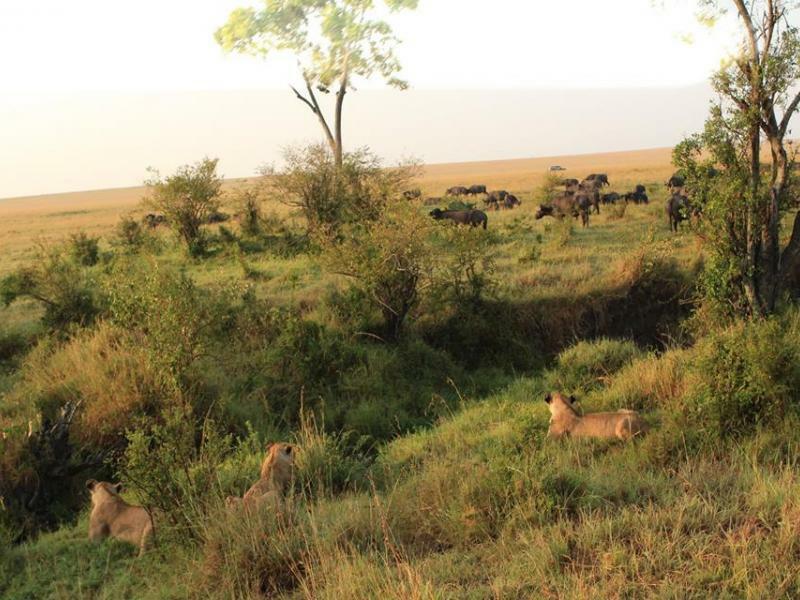 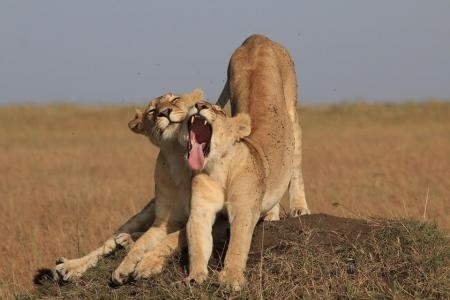 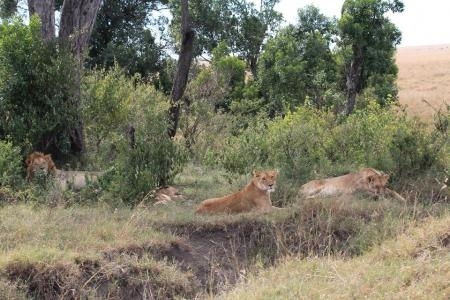 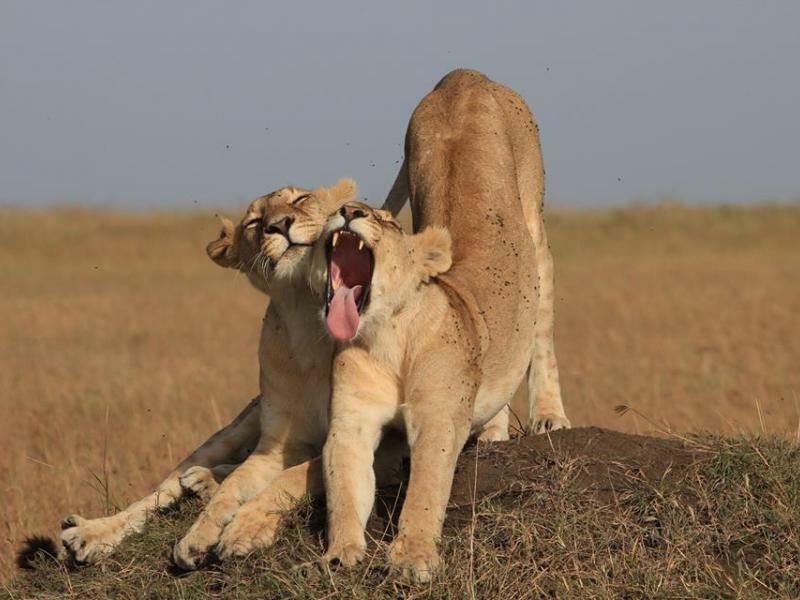 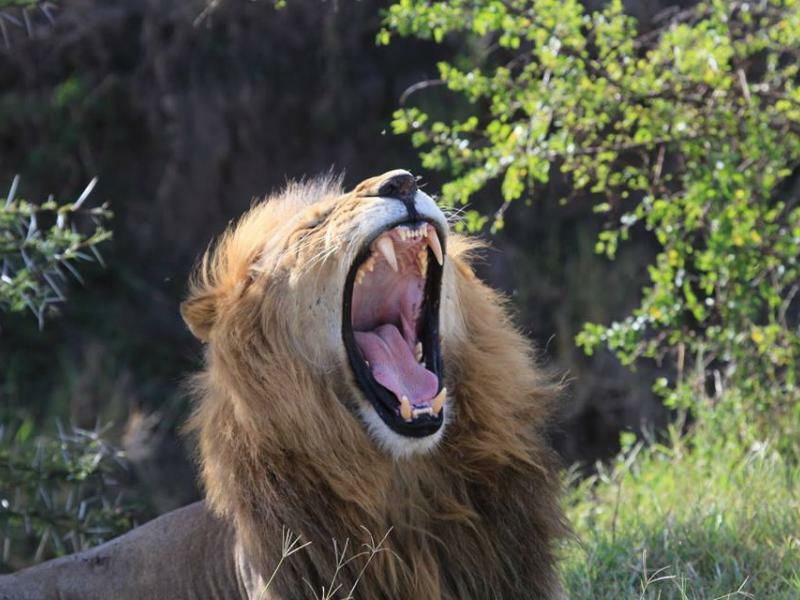 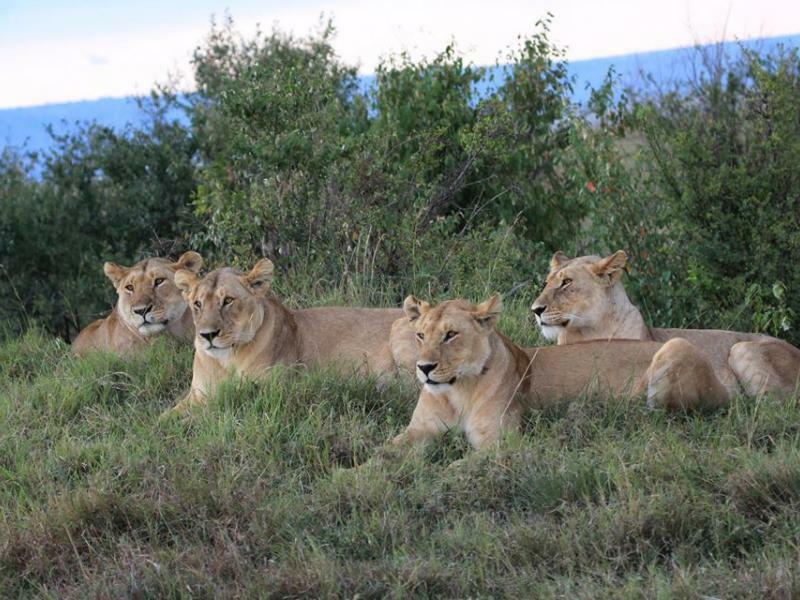 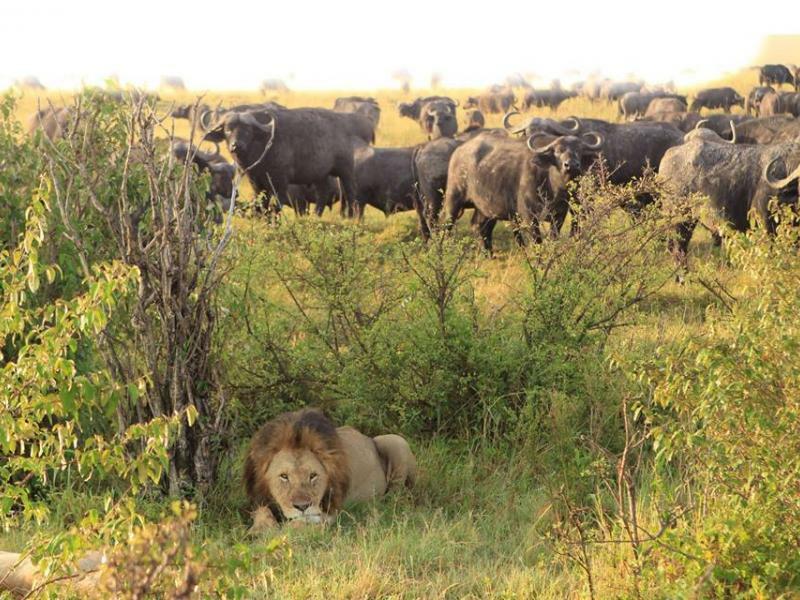 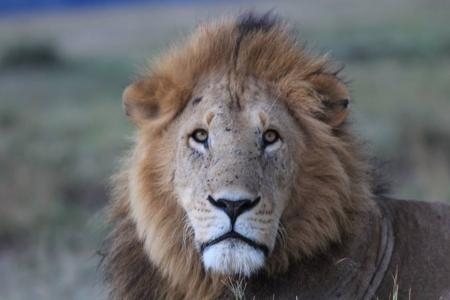 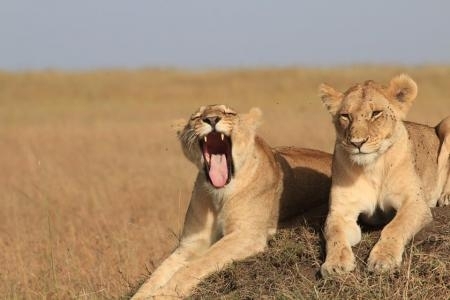 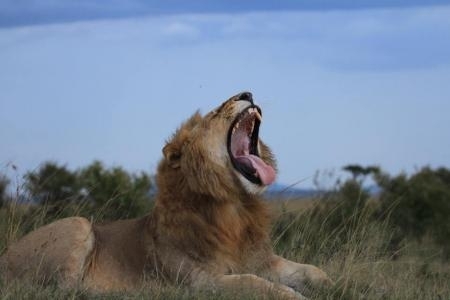 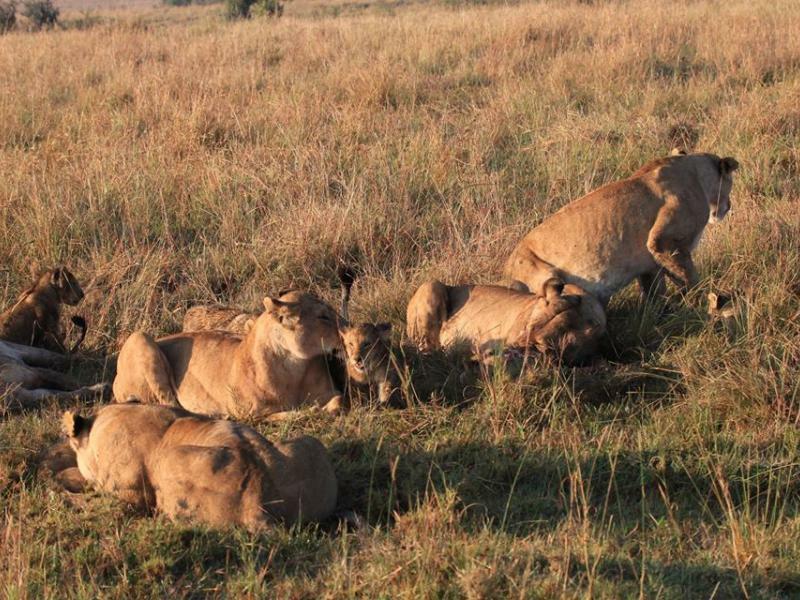 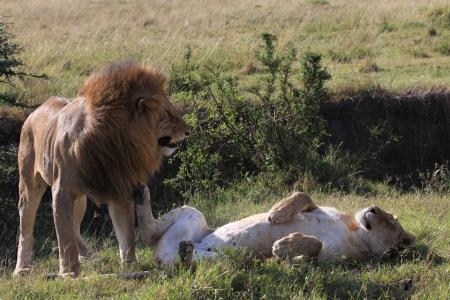 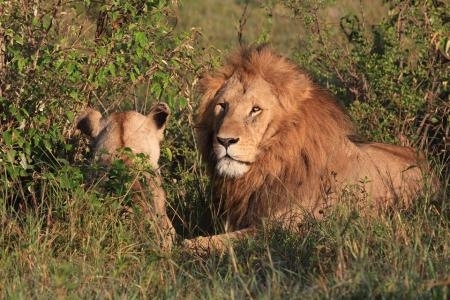 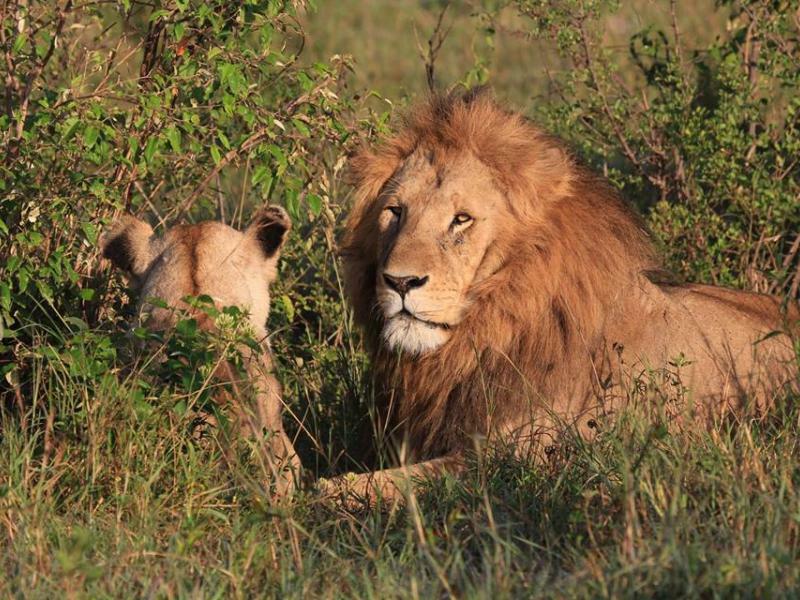 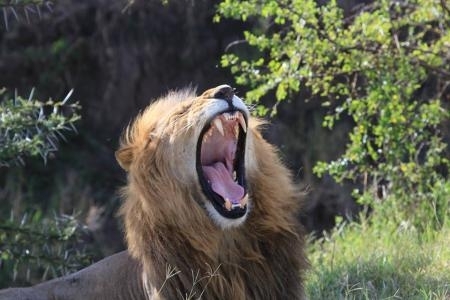 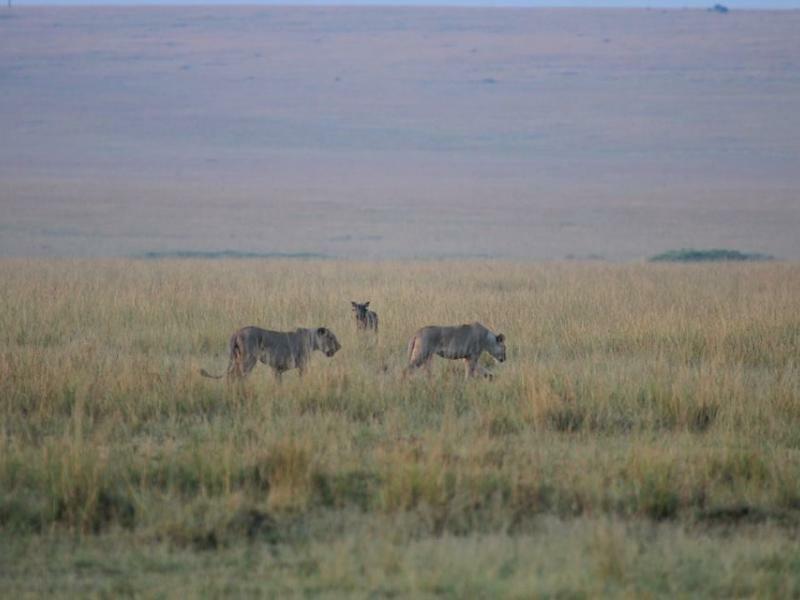 A safari to the Masai Mara offers a good chance to see the famous marsh lions up close. 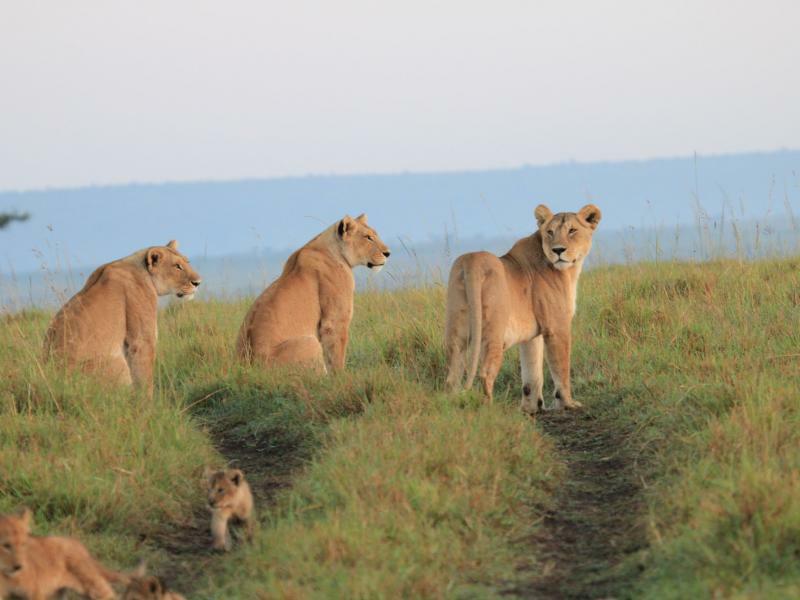 Visit our website for information on Kenya safaris, as well as specific tours to suit your budget and interests. 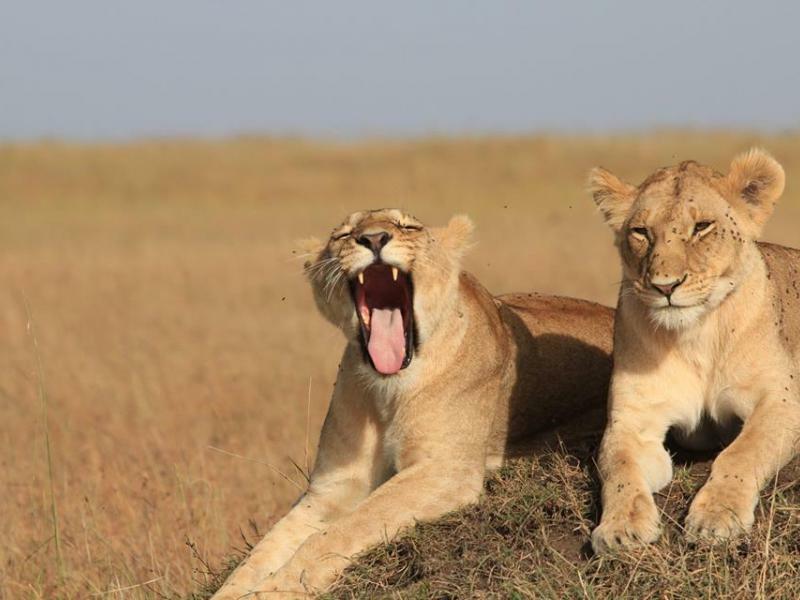 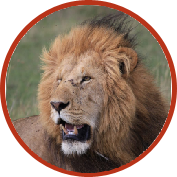 Discover Africa helps you decide on the best safari tour for your visit with over 89 customer reviews. 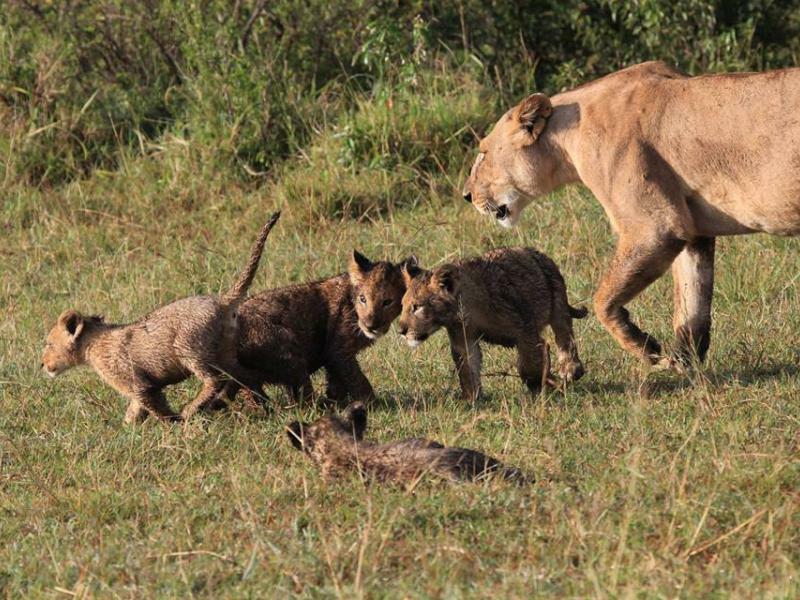 Studies carried out by Serengeti Research Project suggest that protecting territory is the overarching reason - even more important than a group hunting or the communal rearing of cubs. 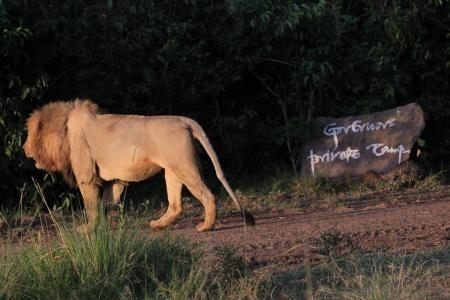 That is why they will fight tooth and claw to protect them. 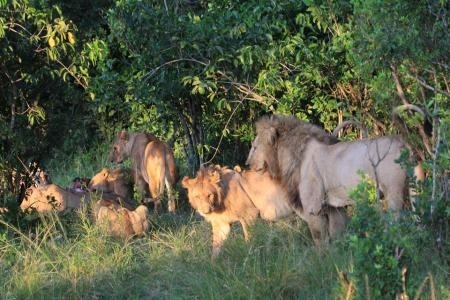 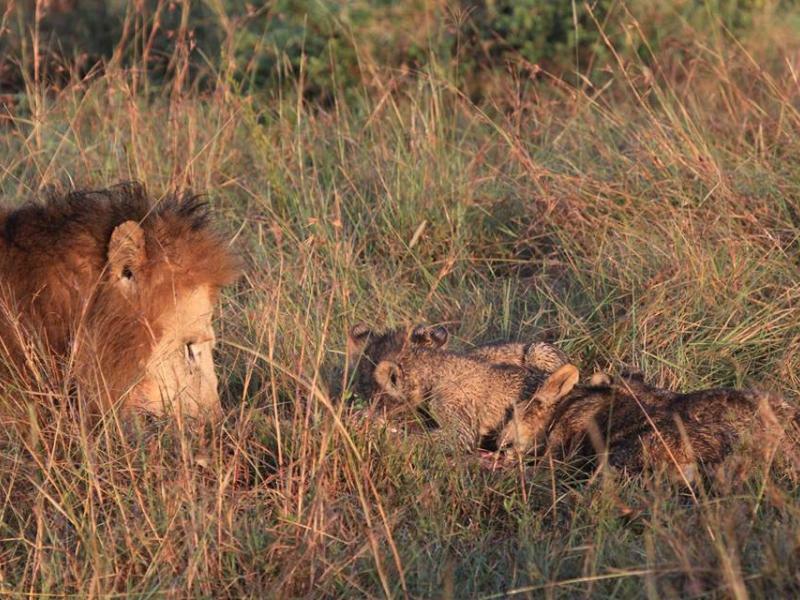 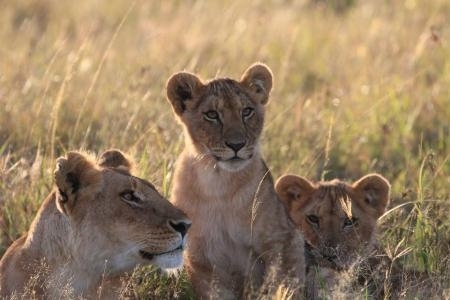 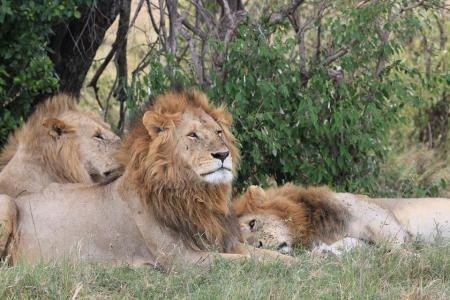 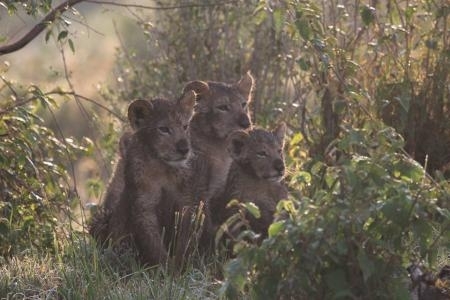 This is also why the Marsh Lions have been such a successful pride, occupying a perfect location that provides all they need: plentiful shade, permanent water, good ambush sites and safe nursery thickets in which their cubs can be safely hidden.